The inevitable is finally happening. After close to a decade, HBO’s Game of Thrones is finally nearing its end and we will soon know who will end up sitting on the Iron Throne. But until then, one of the biggest joys of being a fan is dissecting every little detail in trailers and cast interviews, looking for clues as to what will happen to the characters we love—and love to hate (hi, Cersei). 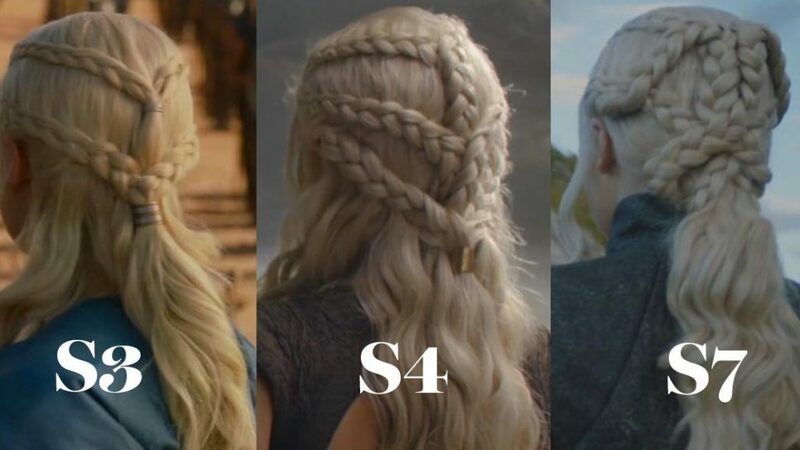 But there may be some surprising hidden messages we’ve missed over the years in the ever-evolving hairstyles of Daenerys, Sansa, Cersei, and, yes, even Arya. Whether you noticed or not, the hairstyles (like everything else on this show) were meticulously planned and thought out—right down to the shades. Kevin Alexander, GoT‘s lead stylist, told Deadline in 2011 that the colors corresponded to the houses of Baratheon, Lannister, Stark and Targaryen—with the Lannisters being more blond and the Starks tending toward red, for example. And during a 2013 (circa season three) interview with Fashionista, Alexander’s attention to detail was on full display. The fandom has certainly had many beauty-based theories over the years. Like when one Reddit user posited that Dany was styling her hair in homage to her dead husband, Khal Drogo. Or last season when people freaked out that Sansa’s hair started to resemble early-season Cersei’s—everyone started wondering if that meant she was turning toward the dark side. And then there’s the whole discussion around why Cersei’s hair is still short (after being chopped off during her imprisonment). Could it just be a style choice or does it mean something more as we head into the final season? Here’s everything we know about the ladies of Westeros’ hair so far, and what fans have speculated their styles might mean.